I was watching the show “Bones” that I had on my DVR and there was a line that caught my attention. The line was “ Sometimes you just have to dance to the music that is playing”~ Booth. Booth was responding to another characters situation that he had no control over. The statement could not be any truer to life in general. We are not in control of our lives like we want or think we are. When situations like illness, death, tragedies, etc... come up we have to face it and deal with what is there before us. We can not change those things. It is the reality of life that is there before us. This is that time that we have to dance (live) to the music (situation) that is playing (reality). This is not a time that we sit out and watch others live and deal with the situation. We have to get up and face that reality and work through it. Just like dancing requires movement, different steps, and attention, so does life. You have to find the steps that help you deal with the situation before you. We can not sit out just because we do not like the music of our lives and wait till we do like it to dance. There are times that we have to make the best of “what is”. Think of those times where you wanted to just crawl into bed and pull the blankets over your head. What did that accomplish? The world still turned and the situation continued on. I remember the day after my mother’s funeral that I had turned on the TV and saw how the world continued on even though my personal world seemed to stop. It hit me then how life goes on wether you are part of it or not. I now had to dance to the music that was playing and that meant I had to get up and learn to dance to that music of a new life without my mother. It was not the music that I wanted but was the music that was now playing. I had to dance to get my strength and to face the new music of life. Life is not like an Ipod that we only add the music we like and can scroll through and pick what we want to listen to. Life is like Itunes on shuffle. There is all kinds of music from up lifting to depressing, from peaceful to unsettling, from fast to slow, and from joyful to sad. You do not know what will come up next and you do not have the option of hitting next or fast forward the music. You have to make the best of it. Now, here is the good part of dancing (living) to the music (situation) is that you choose how you are going to dance (live). You can still dance with your head held high during tuff times. 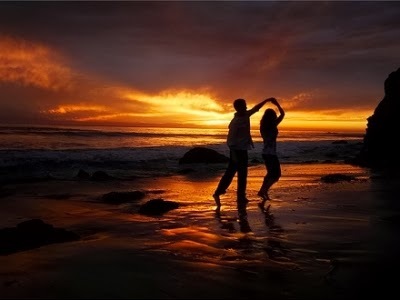 You can still dance with joy from memories when life is sad. You can still dance slow when life is unsettling. It does not matter what music is playing, each step as we dance will strengthen us. If not for this time but for another time. As Catholics we are blessed that we never have to dance alone. We have the Trinity to be there with us with each step. To help us to get up and get on the dance floor. Our Faith will be there to help guide or steps when we are unsure or unsettled. We have the Mass and the Sacraments to strengthen our steps. The music of our lives is personal as well as how we dance to it. Remember it is more then what music is playing but how we dance to it that matters. Until tomorrow, God Bless, and may you always dance knowing you are not alone. are you not leader of the tribes of Israel? ‘Go and put the sinful Amalekites under a ban of destruction. Why then have you disobeyed the LORD? and fulfill the mission on which the LORD sent me. I have brought back Agag, and I have destroyed Amalek under the ban. as in obedience to the command of the LORD? and submission than the fat of rams. and presumption is the crime of idolatry.